Greta Van Fleet captured the hearts of millions everywhere when they broke into the scene in 2017 with their debut EP Black Smoke Rising, their uncanny resemblance to classic rock greats obvious in their clean guitar melodies, soaring vocals, and rampaging riffs. Now with the release of their first full-length album, Anthem of The Peaceful Army, all eyes are on the Michigan quartet once again—can they recapture the magic of their EP? What’s more, can they prove to be an individual entity set apart from groups to whom they might show likeness? Absolutely. 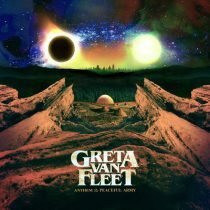 Anthem Of The Peaceful Army captures Greta Van Fleet’s evolution in musicianship and song writing, screaming class, magic, and talent. At just over six minutes long, Age Of Man is more of a saga than an introduction to the album. Ballad You’re The One sees a return of that gospel overtone and Greta Van Fleet show they wear their hearts on their sleeves. They may well be wearing the hearts of every listener, too! 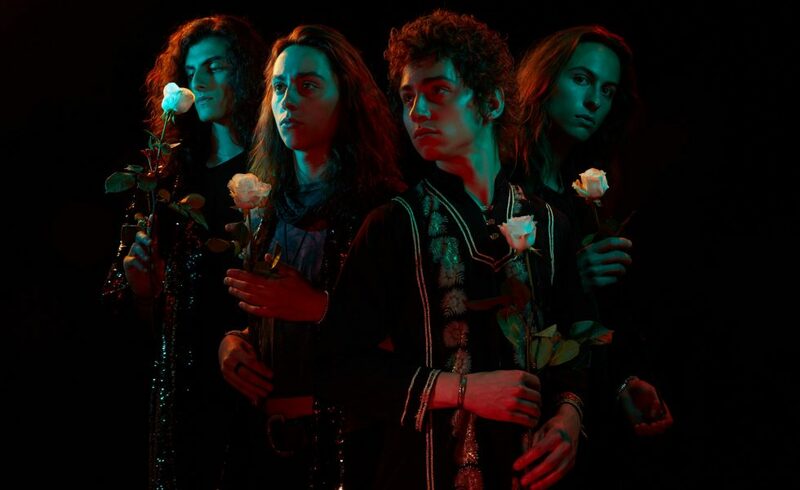 The versatility in frontman Josh Kiszka’s vocals is utterly incredible, prayer-like melodies from the band turning this track into an exalted chorus built of multi textured magic and sublime tone. That beauty sets up shop for the remainder of the album, the docile tones of Watching Over projecting a particular power from its simple guitar solos and effectively tinny drum crashes. Ballad You’re The One sees a return of that gospel overtone and Greta Van Fleet show they wear their hearts on their sleeves. They may well be wearing the hearts of every listener, too! When all eyes are on Greta Van Fleet, critics and fans waiting in anticipation for another injection of sound that is both sincere and special, Greta Van Fleet don’t disappoint. They deliver a collection of songs reminiscent of an age that many of their fans missed out on, ultimately framing (and framing exceptionally well), the only thing that should be important – the music.